Conditions: Around 20mph onshore. High tide with messy shore dump, and small waves. 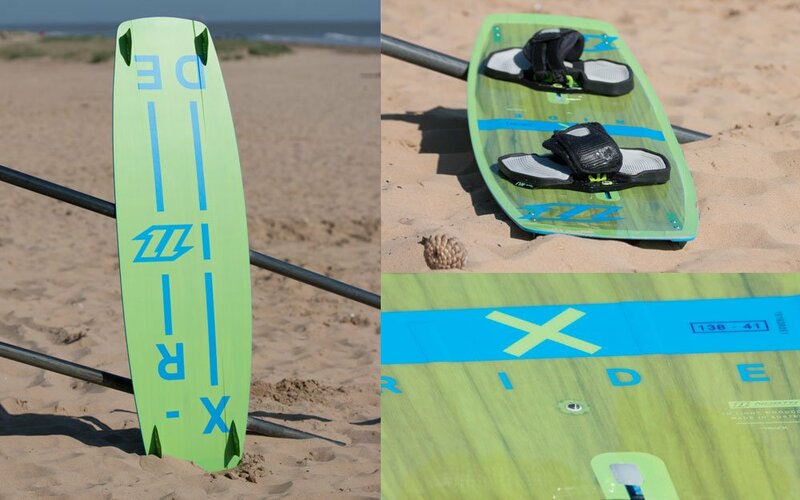 The X-Ride is one of North’s most popular boards. 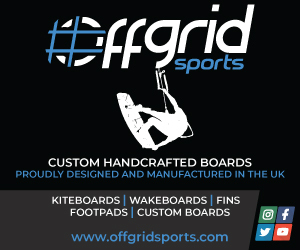 It’s designed so that you’d choose a 3cm longer board than your usual board length. The rocker line provides a smooth ride over choppy water, and the narrow tips make carving and edge to edge transitions easy. The X-Ride is designed as a bit of a do-it-all board, but the emphasis leans more towards freeride and waves, rather than being a wake style machine. The forgiving flex and increased length make it an ideal board for newbies, not to say that experienced riders won’t enjoy it too (I did). Check out North’s description and usage diagram here. I think North must have been paying attention to snowboard design, because in recent years they’ve adopted a system I first saw on a Burton snowboard. Rather than a series of holes which give you limited stance options, it has two channels which the bindings bolt down to. The bindings can be moved along these channels and can be set with your feet as wide or narrow, straight or as ‘duck’ as you like. It’s a great system, and if you get it dialled in, you’ll enjoy very comfortable riding ,and save your knees in the process. There’s little you can fall out with on this board. From the moment you’re up and planing, it feels incredibly intuitive. There’s no bedding in or getting used to it, you’re straight into the business of enjoying yourself. It has a soft, forgiving flex. I didn’t manage to get any real height because of how mushy the conditions were, but the landings from taking ramped air off the waves were comfortable. I wouldn’t say the board has explosive pop, but it’s no slouch either. The board has channels in the base which provide tons of grip, and the increased length meant staying up wind was really easy. Switching from heel to topside and back was lovely and smooth. It felt almost impossible to catch and edge, and the board felt playful making top and bottom turns on the waves. Making S type carves, like you would with a snowboard was lots of fun. The shore dump and mushy conditions made it impossible for me to unhook. I did try a few times, but just couldn’t get enough speed going in the mush to really pop off the water. Based on North’s description of the board, it sounds more like it’s suited to the freestyle / free ride and wave end of the spectrum anyway. If you’re after a playful board that’ll keep you upright in the messiest of conditions and leave you smiling, you should give the X-Ride a try.